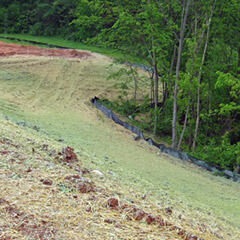 The Stormwater Management Division handles stormwater and related issues within our jurisdiction. The items on this webpage describe the many resource-related projects and issues that we are involved in. Our mission is to bring ongoing commitment to meet state and federal laws and help improve our water quality. Please do your part to help keep our waterways healthy for people, fish and wildlife. Be a solution to water pollution. Only rain should go down a storm drain! The City of O'Fallon is regulated and permitted by the Missouri Department of Natural Resources to operate our storm water conveyance system under the NPDES Phase II, MS4 Permit. This permit requires the City to establish a program to reduce pollutants through public education and outreach, public participation and involvement, maintenance of construction site runoff, implementation of Best Management Practices (BMPs), and the reduction of illicit discharges. The City works with residents, business owners, builders and developers to increase their awareness of water quality issues and encourage them to do their part to keep our storm system and streams clean. To learn more about the NPDES Phase II permit and program and view regulations and ordinances access the information on the right side of this webpage or contact the Stormwater Management Coordinator. As part of meeting requirements for our NPDES Phase II Application, the City must design and implement a program to identify and eliminate illicit discharges. Illicit discharges are materials deposited into streams or the stormwater system that have been determined to be harmful to stream water quality or ecology. Two consequences of construction and development are increased runoff created by the changed properties of ground surface and the rate of discharge of this increased runoff. These are both of great relevance to stormwater. Normally, the undeveloped conditions provide greater permeability and longer times of concentration. By modification of the ground surface from the irregular, pervious and vegetation-covered, the areas are changed to more impervious, more quickly drained and, in some cases, denuded of vegetation. Preserve the environmental quality of the watercourses in the City. In order to maintain and/or improve water quality standards, the City requires installation of stormwater post construction BMPs as part of development requirements in our municipal code (ordinance section 405.247). As part of these requirements, an annual inspection report for BMPs is required to be submitted to the City. As a courtesy, the City is providing supplemental inspection forms for your use. Use of these forms are not required, if you have a different form, please feel free to utilize it. Submission of the forms can be through the Citizenserve Portal (button below) or mailed/emailed to the Stormwater Management Coordinator using the contact information at the bottom of this webpage. Electronic submission is preferred. Soil erosion and sedimentation of streams is a serious threat to water quality. A very small amount of sediment moves through healthy streams at all times, but too much sediment can carry contaminants into waterways, reduce dissolved oxygen, smother organisms and their habitats, impair the function of stormwater facilities such as drains and ponds, and build up stream beds making flooding more likely. O’Fallon’s Stormwater projects are funded through a ½ cent sales tax that was passed by O’Fallon voters in April 2008. The funds raised by this tax are shared by the Stormwater fund and the Parks Department. 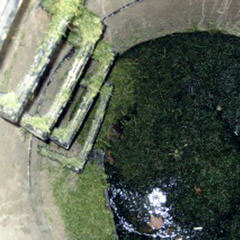 The Stormwater Management Department evaluates and addresses all concerns reported. We have a Stormwater Policy in place which assists with determination of how concerns are handled and approved to become stormwater capital improvement projects. To view our flow process on how most concerns are handled, click on any of the flow charts listed on the right. The O'Fallon City Council determines annually how the funds will be divided between Parks and Stormwater. Once this amount is determined, a Capital Improvements List is brought before the Council for discussion. Projects may then be approved for the following year. 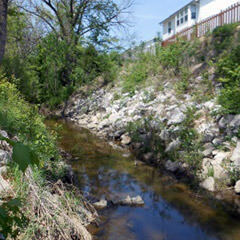 View a list of our currently active stormwater projects. Community Cost Share (CCS) 50/50 Reimbursement Program – Residents submit applications to receive funding for a 50/50 cost share program. 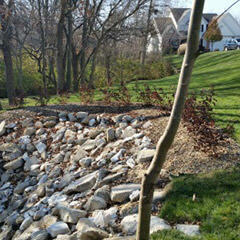 Each project must meet the parameters of the Stormwater Policy at level 3 to qualify for this type of assistance. Rock Assistance Program (RAP) – This program offers the use of recycled concrete free of charge for the resident to utilize on a creek bank for a minor stabilization project that does not necessarily need extensive engineering services to address. The City will provide the materials. Manhole/Storm Sewer Tap Assistance – City staff will assist residents who are installing private under drain systems for private stormwater concerns by providing an opening and connection to the storm sewer structure in which they want to attach their private system. A formal request must be made to the City with advanced notice. All project requests are reviewed by City staff to verify qualification for the program. Approval for these types of projects will be assigned on a first-come, first-serve basis as funds are available. Please click on the Community Cost Share Program links at the right side of this webpage to get further details on this program and how it works. Stormwater management includes and involves all residents and property owners in learning about our storm water system, local water resources, how we affect water quality and flooding potential, and what we can do to minimize pollution and damage. We take our education materials to classrooms and community meetings, develop information for homeowners and commercial establishments and businesses and bring awareness to water quality issues through the media. A very important aspect to this program is public participation and involvement. We rely heavily on volunteers to spread the word on the importance of keeping our runoff as clean as possible. Volunteers of all groups and ages participate in our storm drain marking and clean-ups. These are fun and easy activities that include something for everyone. Multiple public creek clean-up events are held per year. We also have several storm drain marking opportunities throughout the year. 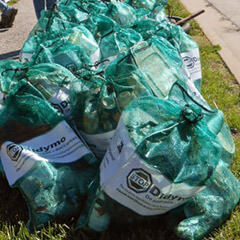 We can assist private group creek clean-ups or storm drain marking events as well. 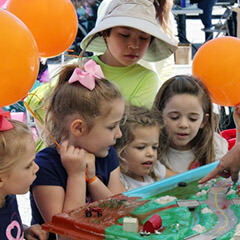 Volunteer for an upcoming stormwater public event. View the current weather conditions at various City of O'Fallon sites. 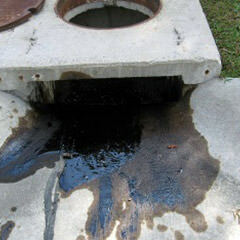 Test your knowledge about stormwater.